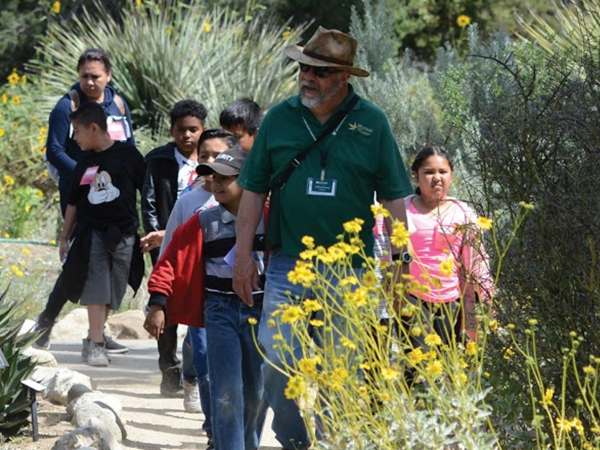 Thank you for considering volunteering at California's native garden. Your valuable time is appreciated! Volunteers are vital to the life, health and advancement of the mission of Rancho Santa Ana Botanic Garden to grow, display, study and conserve California’s native plants.RSABG volunteers work inside or outdoors, help maintain the Garden’s grounds, help staff during special events, lead tours for the public, assist development and communication staff reach out to the public—just to name a few opportunities. 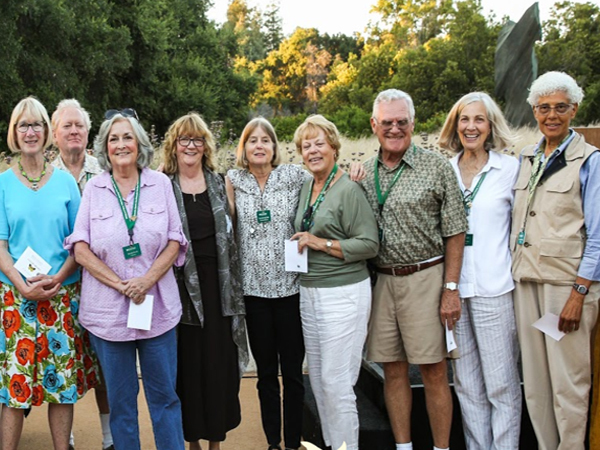 The staff of Rancho Santa Ana Botanic Garden appreciate our volunteers immensely. We strive to provide interesting ways for volunteers to invest their skills and expertise in worthwhile work, and we offer frequent opportunities for learning new skills, acquiring new knowledge, meeting new friends and participating in new and exciting experiences. Volunteers contribute service to RSABG in a wide variety of ways. Some volunteers contribute time on a regular basis, while others volunteer in a less-structured or scheduled manner. New projects and special events arise on an ongoing basis. We endeavor to keep Volunteers informed so they can expand their involvement and get to know other areas of the Garden. Placements are made based on individual Volunteer interests, schedules, and abilities, as well as the current and most pressing needs of the Garden. Completing the New Volunteer Orientation Course, "RSABG 101." This is our basic training for new volunteers. It provides an overview of the Garden, its mission and its programs, services, departments and activities. It offers insight into the many ways you can get involved as a volunteer, and gives you the chance to meet and connect with Garden staff members and fellow new volunteers. You'll be contacted about the next RSABG 101 after turning in a Volunteer Application. Contributing a suggested 40 hours per year. All RSABG volunteers are required to be members of the Garden, but it may be possible for you to begin volunteering without completing the formal training course or committing to 40 hours a year. This will be determined on an individual basis where appropriate or necessary. Volunteers are only eligible for the formal service recognition (including awards and pins at our annual Volunteer Appreciation Dinner) if you complete the training and contribute 40 hours or more per year. Regardless of your availability, we encourage you to get involved in some way! Rancho Santa Ana Botanic Garden seeks volunteers to take on roles that include gardening, leading tours and serving as information assistants. We have volunteer opportunities for people with various interests and abilities. Tell us what your interests and special skills are. There are many benefits that accompany volunteering with RSABG including special lectures and tours for volunteers; field trips to other gardens, arboreta and places of botanical or historical interest; access to the RSABG research library and the volunteer library; discounts on classes and purchases at Grow Native Nursery and California Garden Gift Shop; social luncheons and mixers; meeting people with similar interests and spending time in a beautiful and environmentally conscience botanic garden. Many volunteers join the RSABG Volunteer Organization and make a commitment to contribute time on a regular basis; other volunteers contribute their time and energy in a less structured or scheduled manner. We welcome you to join the Garden’s volunteer efforts regardless of how much time you have to offer. 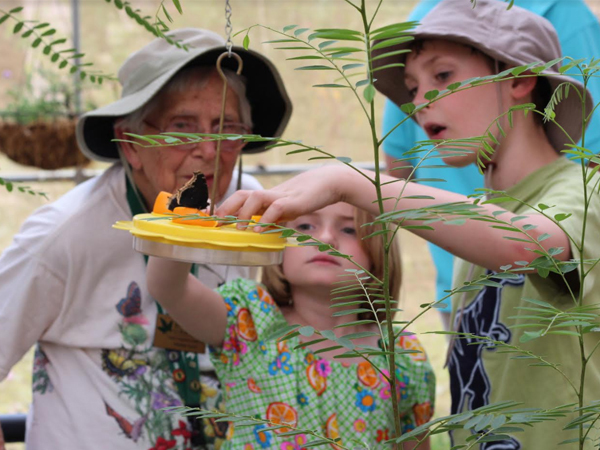 Nature interpreters (docents) to lead tours for school children and, sometimes adult groups. Horticulture assistants help maintain the Garden’s living collection through weeding, raking, watering, pruning, etc. Garden Gift Shop associates to provide a friendly presence in the Garden’s store, answer questions and help with merchandise sales. There are many other opportunities for service as well, including fundraising, database maintenance, creating floral arrangements with native plants, working in the research library and staffing special events.